Insightful risk management plays a significant role in improving the prospects of many companies. Identifying risks, modeling their impacts, implementing targeted risk mitigation tactics and establishing effective corporate risk management processes have all reduced the risk exposures companies face. A huge element in the art and science of risk management …one that is completely complementary with activities to date … that has been largely missing has been the human factor. Every business is a ‘people business’. Understanding how people behave and make decisions as critical management input provides a powerful advantage to every company. Applying this wisdom to risk management, well known in general, has enormous potential. My new book, “Better Behavior + Better Decisions = Less Risk”, offers clear and persuasive examples of how companies can create and implement better conceived strategies yielding improved results and decidedly less risk exposure. ‘Self Appraisal’ exercises at the end of nearly every chapter enable the reader to assess his or her own organization in terms of how effectively their company is incorporating effective executive behavior and decision making into its risk management efforts to optimize performance. 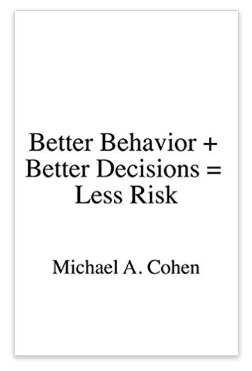 "In "Better Behavior + Better Decisions = Less Risk", Michael A. Cohen leverages his considerable industry and academic experience to provide a crisp and thoughtful user's guide to the most current thinking in how Enterprise Risk Management can optimize organizational strategy and profits. Concluding each chapter with a set of questions for decision-making, this book breaks from dull academic tomes and offers a practical and well-structured process that the reader can apply again and again. Cohen weaves his deep knowledge of risk and behavioral theory with compelling scenarios culled from familiar headlines to produce a quickly paced journey that walks the reader through the critical elements of risk evaluation required for new students of risk and expert corporate strategists alike." "As a professor of business, I found that Michael A. Cohen’s book "Better Behavior + Better Decisions = Less Risk" presented a valuable and pragmatic discussion on developing business strategies that are more likely to be successful and less risky because they address the critical reasons why companies underperform … they aren’t well managed and they make decisions that are flawed in many ways. 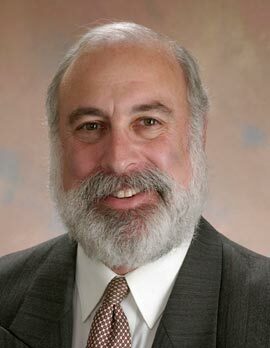 Cohen’s book is a must-read for executives and students alike who will benefit from his extensive business and academic experience in analyzing companies who have been successful and those that have not, and identifying key dynamics for each."